Don’t you hate it when a recipe calls for a few teaspoons, or even just a small dollop, of tomato paste and suddenly even the dinky little 6 oz cans seem giant? I mean, they’re already just about the smallest can in the canned food aisle, but what do you do with the rest of it? Leave it in the can and put it in the fridge? Scoop it into a tupperware container and put it in the fridge? Forget about it? Triple or quadruple the recipe in order to utilize the whole can? Throw it away? I, too, used to have that dilemma. In the spirit of not wasting food, I would place a little square of plastic wrap over the top of the opened can, using a rubber band to hold it in place if needed, and gingerly place the leftover can in my fridge. Well-intentioned, of course, but over time, the can would make its way to a dark little corner of my refrigerator, long forgotten and definitely unusable. 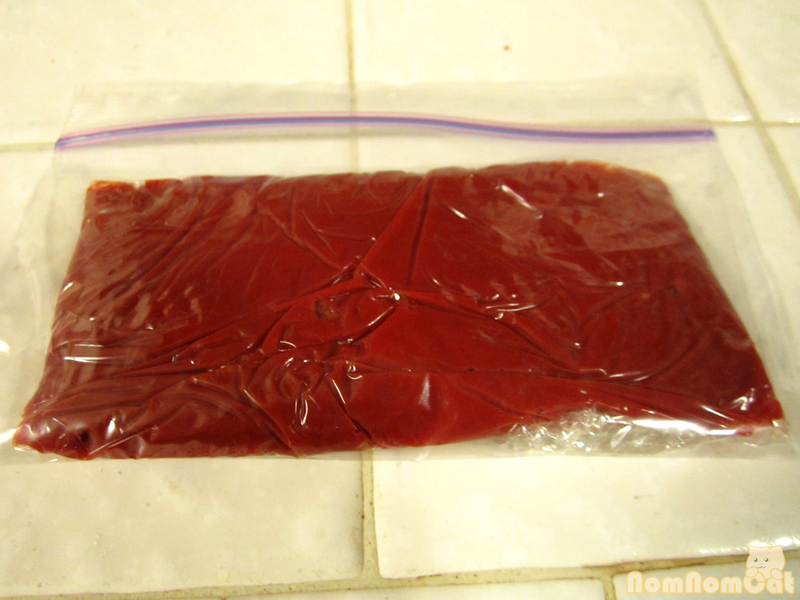 Until one day, I discovered by reading some online forums that you can indeed freeze tomato paste! And let me tell you, that little fact changed my culinary life. Spread out a sizable piece of plastic/saran wrap. Spoon out the remaining contents of the opened can of tomato paste. 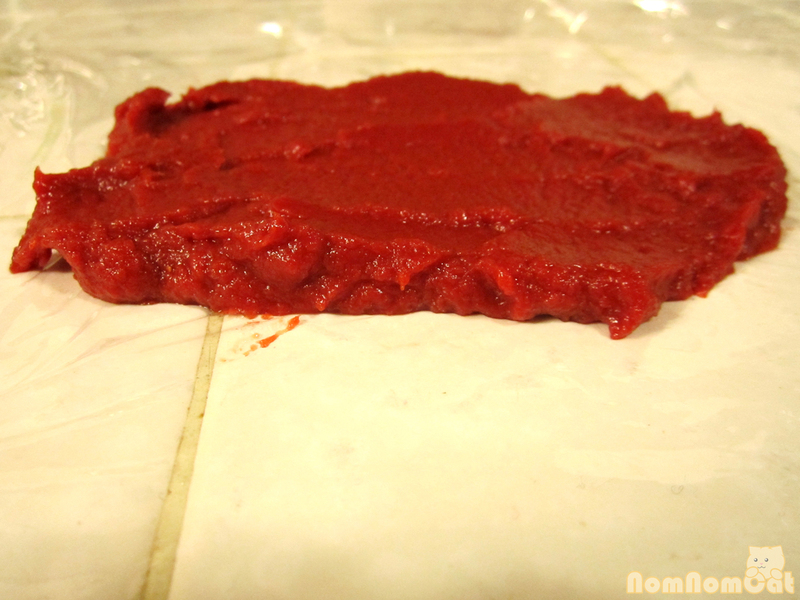 Using a spatula or the back of a spoon, spread the tomato paste so that it is no more than about a 1/2 inch thick. Fold the plastic wrap so that everything is covered and with minimal air bubbles. 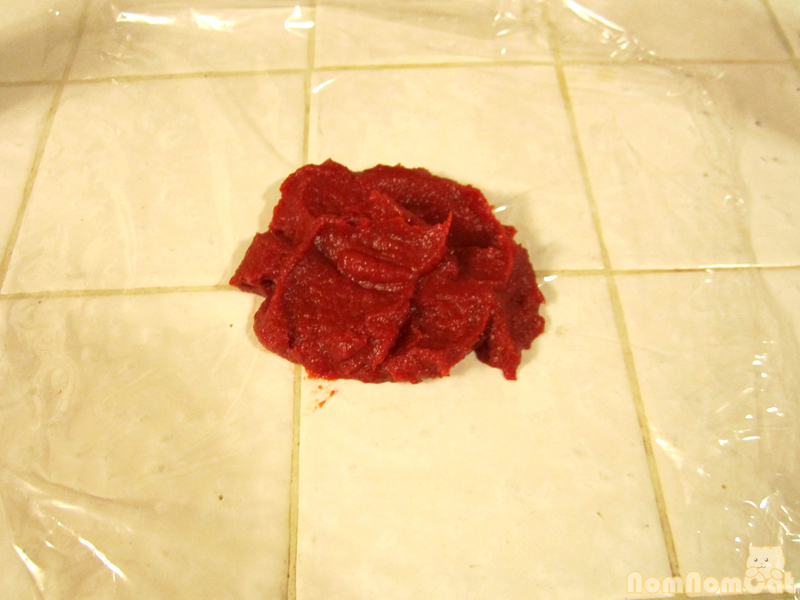 Place the wrapped bundle of paste into a ziploc bag and store in the freezer. 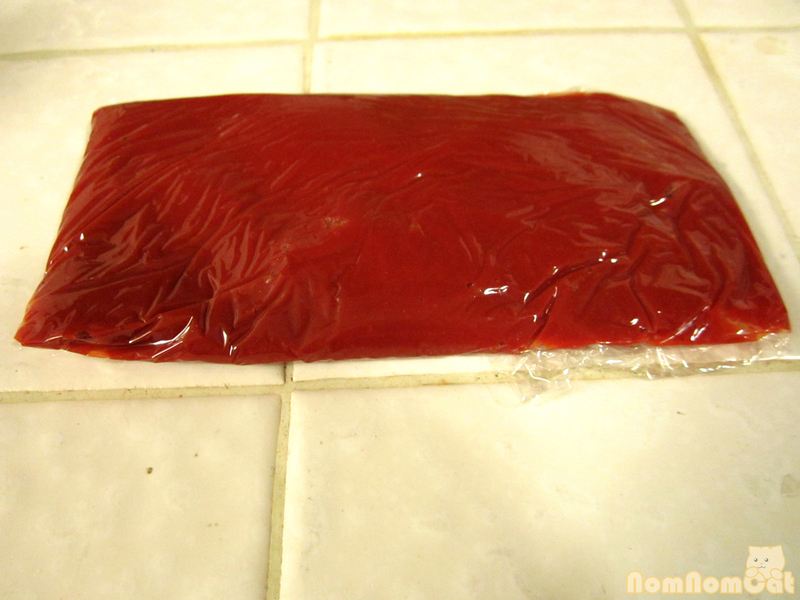 The next time a recipe calls for tomato paste, you don’t even have to thaw it. Because we spread it out in a fairly thin layer, you can just pull the brick out of the freezer, break off as much as you need, re-wrap, and put it back. Easy peasy and nothing wasted! i buy it in a tube…and i still don’t use enough of it!